Mark Lawson talks to British actors, including Damian Lewis, Ashley Jensen, Jason Isaacs, Adrian Lester and Hugh Laurie, about their experience of working in America. 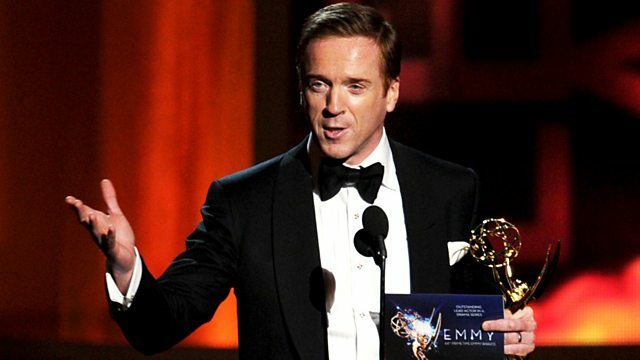 Damian Lewis, Hugh Laurie, Thandie Newton, Adrian Lester, Clive Owen and Ashley Jensen are among the actors who discuss the highs and lows of working as British performers in America. Many high profile American TV shows and films are casting British actors in key roles. The success of programmes such as Homeland and House are testament to the strong parts tempting British actors across the pond. Director Stephen Frears explains his theory that there is a crisis in American acting, prompting producers and directors to seek talent on this side of the Atlantic. Hugh Laurie and Damian Lewis reflect on the pros and cons of the long contracts and extended seasons on prime time US TV shows and Adrian Lester and Thandie Newton explore the reasons behind the success of many black British actors in America.